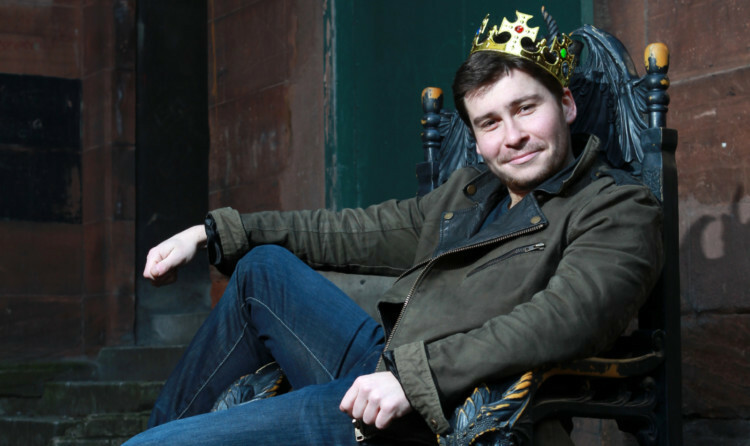 GAME OF THRONES star Daniel Portman is backing a campaign encouraging people to talk about mental health as new research shows less than half of Scots are comfortable doing so with family and friends. Figures released for Time to Talk day on February 7 showed that only 42% of people in Scotland are happy to discuss their mental health with those close to them, although this is above the UK average of 36%. The survey also found that the average Scottish person has 878 friends on social media, but 16% have no-one on social media they could turn to if they were struggling with their mental health while 12% have one person. Time to Talk day, which is being led in Scotland by See Me, the programme to end mental health discrimination, aims to encourage people all over the UK to start meaningful conversations on mental health. Game of Thrones star Daniel Portman, who has experienced depression, anxiety and forms of OCD since he was a teenager, is among those backing the initiative. The 26-year-old, who plays Pod in the hit series, said: “In my experience it makes you want to hide away from people because it does have this stigma. On top of all the suffering you’re already going through having judgement about something that you can’t really help is the worst possible thing. “What’s key is having those around you willing to talk as well. I have a very supportive family who have always been very sensitive to this stuff and a great network of friends who are open to talking. “Even with that there have been times when I have felt that I can’t talk to anybody about these things. But it is absolutely necessary that if you need to talk to your friends and family, they need to be there. “I started experiencing this stuff about ten years ago when I was about 16. At that point it was totally alien to me. It was like I had a totally different brain inside my head. That is such a scary thing. I didn’t think that anyone would understand and I felt a bit ashamed. “Ten years on I still have days, weeks, months where I feel awful, but I understand it better now. It’s a process, this is something I’m going to be fighting for a long time. The research also found that 39% of respondents in Scotland feel they could talk about mental health in group chats on platforms like Whatsapp and Facebook Messenger. Mr Portman urged people to open up and talk about what they are going through. He said: “I’d say whoever the right person is, talk to them however you can. Whether that is face to face, via Skype, or anonymously, whatever, talk to somebody. On February 7 See Me are joining Scotrail to host a gig in Glasgow Central Station, while volunteers are taking over trains on major routes to get commuters talking about mental health. The study of 5,376 respondents, including 1431 in Scotland, was conducted by Censuswide in December.